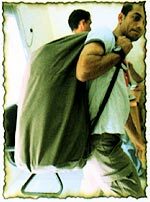 Balllatic Blankets are great use for any last-minute emergency, capable of being transported easily by use of a rucksack. Great for protecting the containerized units, doors, windows, personnel, equipment, and vehicles. Hand grenade fragments and most fragmentation caused by pressure or electrical explosion. 9 mm FMJ at 1400 ft/s (426 m/s). 44 Magnum, Handgun, Revolver at 1400 ft/s (426 m/s) up to 5 shots. Highest rating for soft armor. Sub-Machine gun (9 x 19mm) up to 5 shots, Lead Core Copper Jacket. Daily testing of materials and their properties. 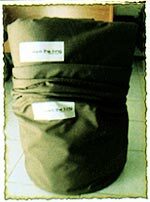 Easily mounted using Velcro fasteners, finished in cordura fabric to last from wear and tear. Each kit comes with carry bag, fasteners, and fitting instruc tions. The Level Ilia kit protects against roadside bombs, anti-personnel mines, landmines, and handguns. AK-47 API requires hard plate inserts.